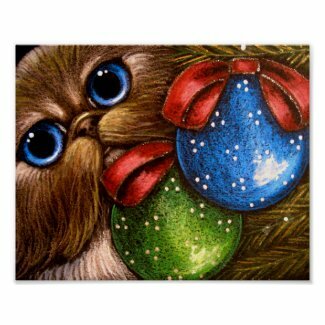 If you love fluffy cats, you will love these Himalayan cat pictures. 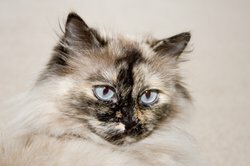 In looks, the Himalayan cat is almost exactly the same as the Persian, the main difference being the colorpoint pattern of its coat and the deep blue eyes. 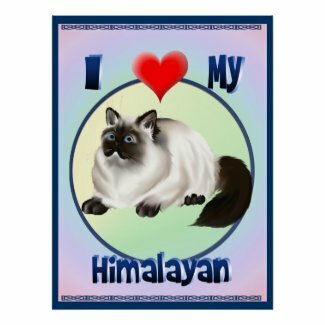 In fact, the CFA, the world’s largest cat registry, recognizes the Himalayan as a sub-category of the Persian breed. Just like the Persians, Himalayans have a stocky body. However, they are not fat. They have big heads, short necks, broad faces and large eyes. Himalayans have tiny, round-tipped ears. They have short legs and round feet. 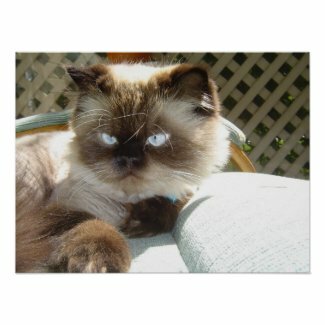 Here are some well-known Himalayan cats. 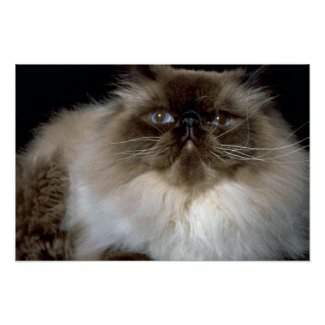 Mr. Jinx, Jack Byrnes’ cat in the movies Meet the Parents (2000) and Meet the Fockers (2004), is a Himalayan cat. 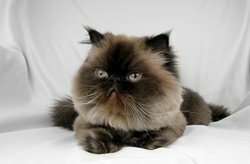 Martha Stewart has 3 Himalayan cats: Beethoven, Mozart and Bartok. Sassy, one of the main characters in the movies Homeward Bound: The Incredible Journey (1993) and Homeward Bound II: Lost in San Francisco (1996), is also a Himalayan. The following images are brought to you in affiliation with Zazzle.com. 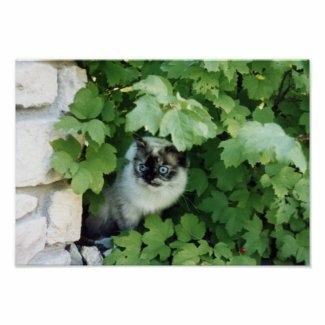 By the way, these pictures of Himalayan cats make great gifts for feline lovers. sell my paintings online for free with Zazzle. Be a art affiliate with Zazzle. sell your posters with Zazzle. Here’s a tiny collection of some of my favorite quotes about cats. Enjoy! For more quotations about felines, please go to our cat quotes page.